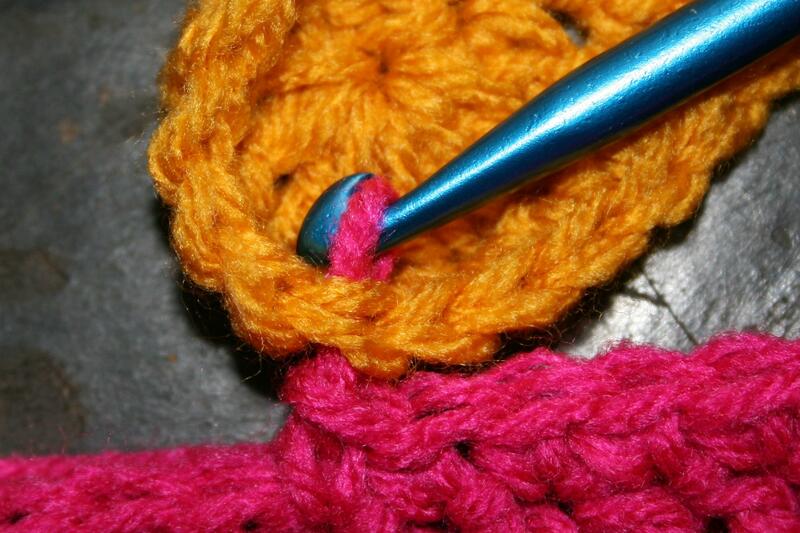 When the average non-crocheter thinks of crochet, often one of the first thoughts is the classic granny square. This motif has become a historic staple, however working any motifs worked in crochet can have a fun, stunning, and classic appeal. The draw back? Stitching them together. Remove hook from working loop, insert hook into stitch to be joined to and re-insert into working loop. 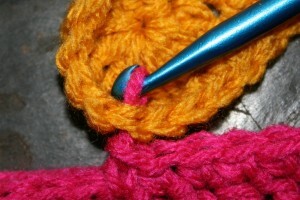 I have stated it before, but I am a crocheter, not a seamstress. So join-as-you-go has been a savior of sorts for me. 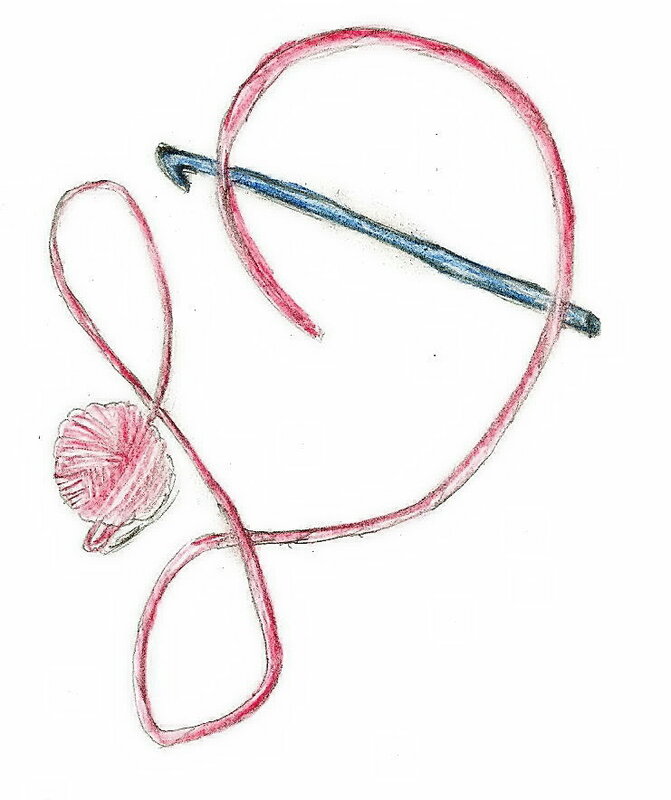 It has allowed be to work various motifs without having to stitch them together, but simply work a stitch into the adjoining motif and they are now connected. Complete the stitch, and continue. 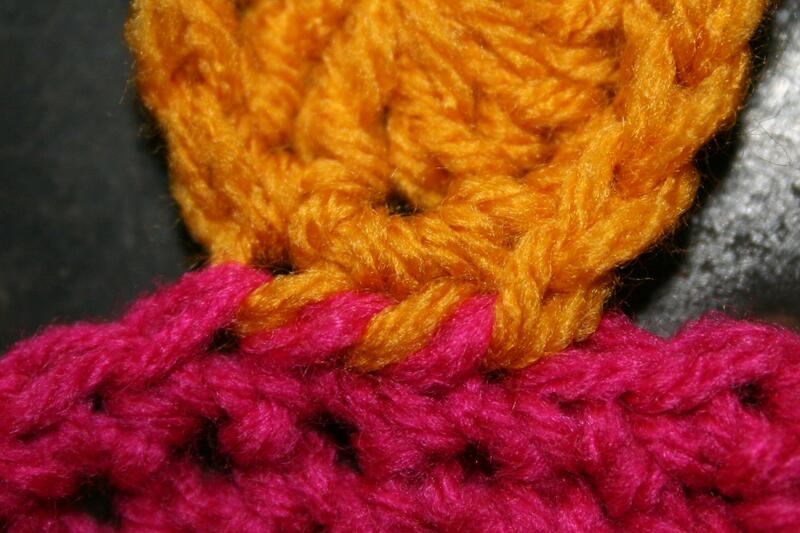 There are various applications that can be used in join-as-you-go, but one that I have been enjoying recently, has a finish that looks like I’ve spent time whip stitching the pieces together, without ever picking up a needle and thread (or yarn). To work this Joined Whip Stitch, or Braided Join, is actually pretty easy. 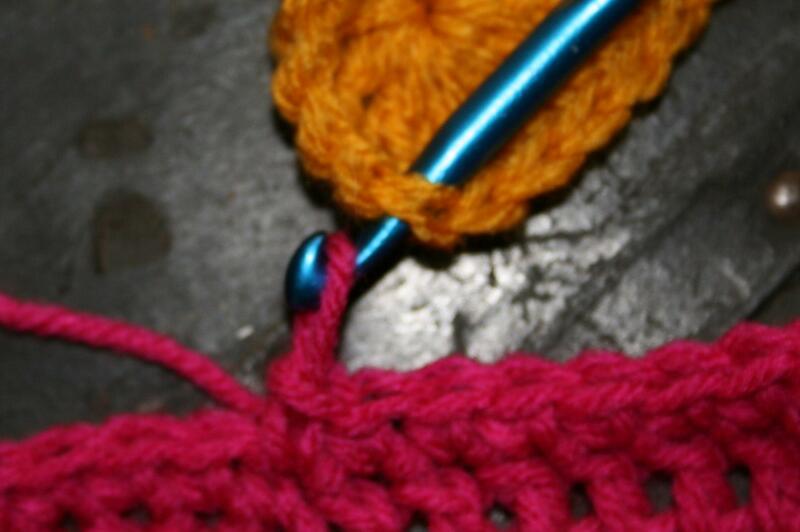 When you are ready to join to the adjacent motif you simply remove your hook from your working loop, insert your hook through the stitch you wish to join to, re-insert into the working loop and pull it through the stitch, then begin and complete the stitch you wish on the motif you are working on. Essentially you are bringing the loop through another fabric and then completing your work, there is nothing fancy, nothing difficult, just a simple way to weave the fabrics together. The look that this technique creates has a hand sewn appearance to some, and a braided effect to others. 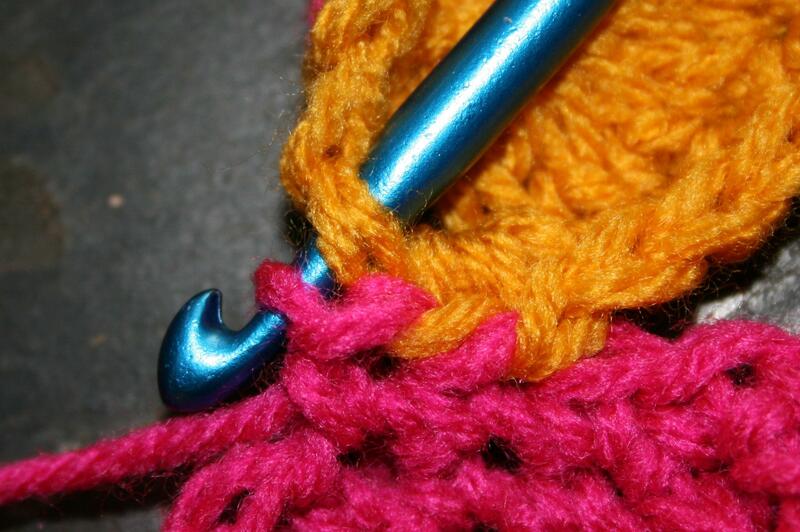 It is a little slow, and only a little, as removing your hook and getting it placed and then reworking the stitch can take a little time, not to mention a little fear of the working loop being pulled out. 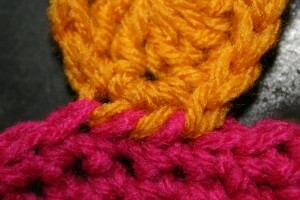 However the technique is simple and can be worked with any motif pattern without having to change the stitch structure. 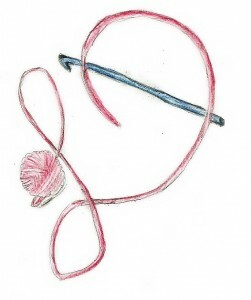 So give this method a try next time you have a motif to put together, you may find that it makes your project a little more enjoyable, with no needles required.